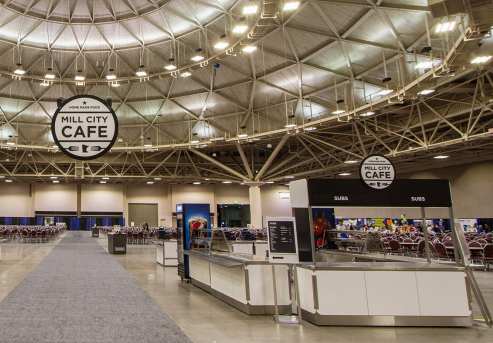 Visiting for a sporting event, public trade show, or attending a meeting in the Minneapolis Convention Center, Kelber Catering offers a wonderful diversity of menus such as Asian bowl, burger basket, gourmet wrap, walking taco or Greek express. We have your palate covered without ever leaving the premises! 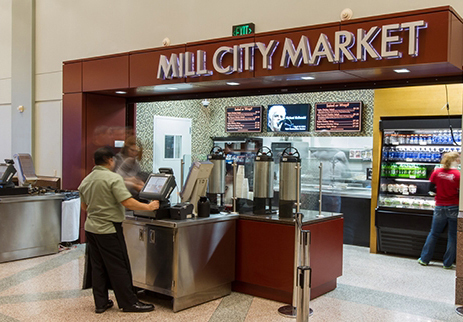 Craving hot, fresh and prepared to order, visit our Mill City Grills, located along the South Concourse. Our grill chefs are ready to prepare any of our tempting items from a crowd-favorite hamburger and fries, a perfectly seasoned grilled chicken sandwich, or a freshly made to order flat-bread pizza. We are at your service! If you’re looking for a pick me up snack, something cold to drink, a freshly made sandwich or something hot off the grill look no further than our market. Offering express service for an assortment of foods such as salads, yogurt parfaits, fresh fruits, carrots and hummus and much more. Located in Lobby B, we have you covered! 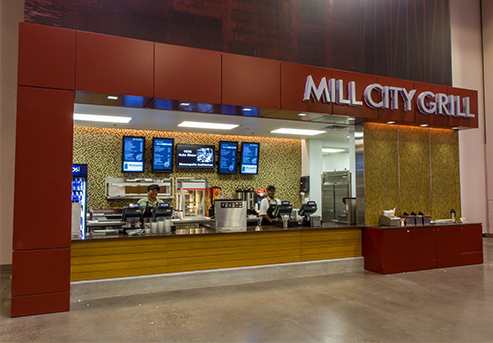 Mill City Cafés are our convenient, ‘portable’ answer to providing your event guests quick and delicious food and beverage options. Conveniently located where they serve you best, these easy-access carts offer a great menu just where you need them! Kelber Catering proudly owns and operates each of these special dining locations so you know you have our full team behind the products, quality and service they offer. Call or email our Sales Team to learn more about their menus, pricing and convenient locations.